1. 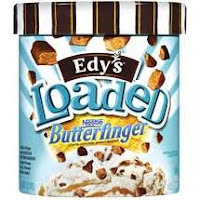 Dreyer’s (Edy’s on the East coast) Loaded Butterfinger Ice Cream. It tastes like a butterfinger blizzard with peanut butter swirl. Mmmm! 3. Trader Joe’s Salsa Especial. 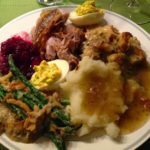 It’s the closest to homemade I’ve tasted and it’s got a nice kick to it. Pairs well with item #4 on this list. 4. 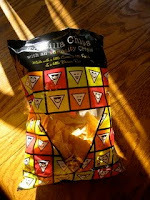 Trader Joe’s Tortilla Chips (with an Identity Crisis). They’re whole grain, gluten free and wheat free, and taste like French fries. What is not to love here? 5. 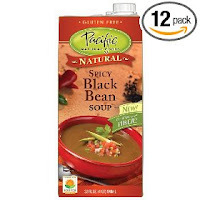 Pacific Spicy Black Bean Soup. Lovely flavor, nice kick. Be warned, it’s more like bean juice than bean soup. 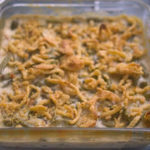 Try adding corn, whole black beans or other veggies for some texture. 6. 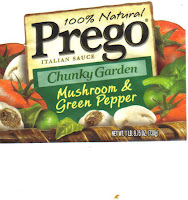 Prego Mushroom and Green Pepper Pasta Sauce. Now, I normally find canned sauce a necessary evil. (I’d much rather make my own!) But this is a delicious departure from the regular fare. Nice flavor, not too acidic (plenty of sugar, I’m sure). 7. 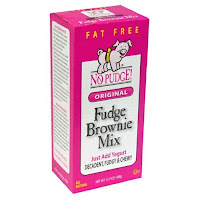 No Pudge Brownies. Umm, these badboys are FAT FREE! Just add a container of fat-free yogurt, mix and you have TASTY, chewy, chocolatey brownies in a flash. One Response to "7 things I currently love"
I just love Trader Joe's. So many great treats. I really like the chocolate covered peanut butter crackers.